After the February Revolution of 1917, Khatisian entered the ranks of the A.R.F. During that decisive year, he led the National Bureau until October, presided over the Council of Armenian Political Parties (March-April), and participated in the convention of peasants of Transcaucasia (June 1917). He moved to Armenia at the end of the year and was elected mayor of Alexandropol (nowadays Gumri). In February 1918 he participated in the peace negotiations held with the Ottoman Empire in Trebizonda (Trabzon). However, in April 1918 he went back to Tiflis, when he was designated Minister of Finances and Provisions of the short-lived Republic of Transcaucasia. 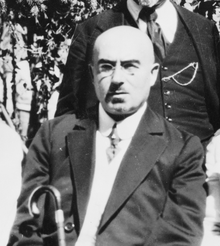 In May he returned to the table of negotiations with the Turks, and was one of the three Armenian representatives who signed the Treaty of Batum on June 4, 1918, where the Ottoman Empire recognized the independence of Armenia over a stretch of territory.